Forget the myth that you must be “born” with musical creativity. 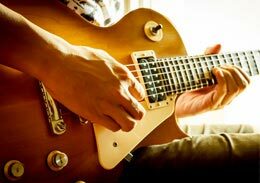 Study these resources about expressing yourself through music and learn how to become a highly expressive guitarist and musician. Learn more. Playing badass rhythm guitar riffs feels amazing. Most guitarists wish they knew how to do this, but struggle due to a weak picking attack. Fortunately, this is easy to fix. Learn the tiny adjustment that makes your rhythm guitar playing sound great by watching this rhythm guitar video. You will become better rhythm guitar player once you can quickly identify any rhythm guitar playing mistake by ear. Test yourself now to see how good your ear is using this rhythm guitar playing assessment. 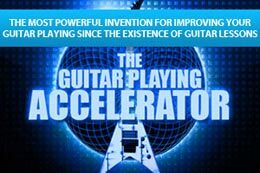 If you have spent the majority of your time playing a 6 string guitar, you may think that playing 7 string guitar is exactly the same (only with an added string). If you take this approach, you will be greatly limiting your musical creativity. Learn how to become more musically creative on 7 string guitar by studying this 7 string guitar lesson.